Baahubali 2 9th Day Collection : Baahubali Minted 950 Crores Gross in 9 Days Worldwide. By 2nd Weekend expected to cross 1000 crores. 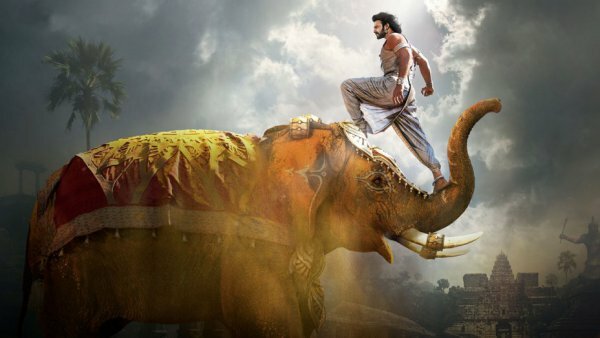 1 Baahubali 2 9th Day Collection : Baahubali Minted 950 Crores Gross in 9 Days Worldwide. By 2nd Weekend expected to cross 1000 crores. The most anticipated film of this year, Baahubali released with sky high expectations of movie critics and trade analysts. Baahubali 2 collections earlier had a potential of over 700 crore lifetime earnings which is already achieved by the film. Check how much the movie has earned in this day wise income report of SS Rajamouli’s Bahubali on Indian box office. Film have already crossed the figure of 950 crore rupees earnings from the around the world ( Including Distributor’s Profit) and doing such a great business came to be a surprise for bollywood as well. Baahubali collections have already surpassed the earnings of all bollywood films and now heading towards competing in the international market with hollywood movies. WIth a great launch in India, US and other economically important countries for Indian movies, fickle is observing the growth at a much expected pace. Coming to the additional benefit, Bahubali earnings have already crossed the mark of 595 crore earnings from the domestic market minting out more than 189 crores from overseas. Check out the complete Saturday and other days income report of biggest Indian release ever in this post. Don’t forget to share same with your friends and family using the social share buttons below. Due to multiple factors, the initial report is available for only first week. Baahubali became the highest grosser of all times after earning more than 950 crores in a period of 9 days. It would be interesting to see whether the lifetime income from the international market will able to cross the mark of 1000 crores. Do let us know what you think about such exciting figures in comments.